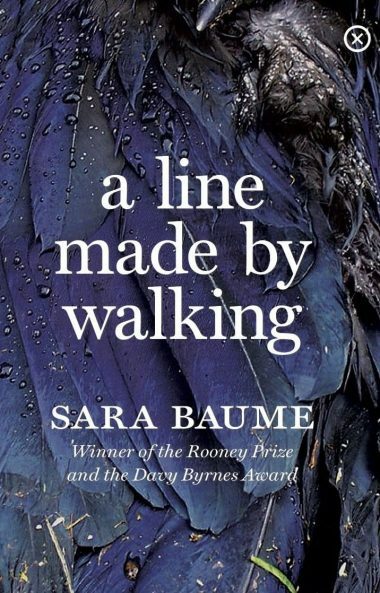 Tramp Press is delighted to announce that Sara Baume’s A Line Made by Walking, published earlier this year, has been shortlisted for The Goldsmiths Prize. Last year Tramp’s Mike McCormack won the prize for Solar Bones. Sara also joins the ranks of literary stars such as Howard Jacobson and Jim Crace, and previous winners Ali Smith, Eimear McBride and Kevin Barry. The winner of the Goldsmiths Prize, worth £10,000, will be announced at a ceremony in London in November. A LINE MADE BY WALKING 25-year-old Frankie is living in Dublin and working part-time in a public gallery. But increasingly anxious, she abruptly quits her bedsit to live in her deceased grandmother’s creaking house in rural Ireland, close to her family. With an artist’s gift for observation, Frankie recounts the beauty and the obliteration of the world as the seasons change around her, from roadkill to kitchen curios, all the while struggling to understand her place in it.